Secretary of Health and Human Services Sylvia Mathews Burwell, accepted the recommendation to expand the Recommended Uniform Screening Panel (RUSP) to include the addition of X-linked Adrenoleukodystrophy (X-ALD) and Mucopolysaccharidosis type 1 (MPS I). The Affordable Care Act requires that most health plans cover evidence-based preventative care and screenings provided for in the comprehensive guidelines supported by Health Resources and Service Administration (HRSA). Secretary of Health and Human Services Sylvia Mathews Burwell, accepted the recommendation to expand the Recommended Uniform Screening Panel (RUSP) to include the addition of X-linked Adrenoleukodystrophy (X-ALD) and Mucopolysaccharidosis type 1 (MPS I). The Affordable Care Act requires that most health plans cover evidence-based preventative care and screenings provided for in the comprehensive guidelines supported by Health Resources and Service Administration (HRSA). Since RUSP is a part of these guidelines, conditions added to the RUSP must be covered without cost sharing. Plans and insurers will have one year after the date of adoption of these recommendations to implement coverage. However, Burwell’s response does not mandate that states implement these screenings, it is only a recommendation. We applaud the secretary for these recommendations which will save the lives of so many babies. Comprised of volunteers whose lives have been touched by newborn screening (NBS), Save Babies Through Screening Foundation is the only advocacy organization in the country dedicated to Newborn Screening. SBTS aims to educate parents, pediatric healthcare providers and policy makers about available comprehensive Newborn Screening, the importance of obtaining positive or other test results requiring follow-up actions within five days of birth and the importance of prompt confirmatory testing and treatment/management when required. The Foundation’s mission is to ensure that every newborn in the U.S. be screened successfully, effectively and comprehensively. 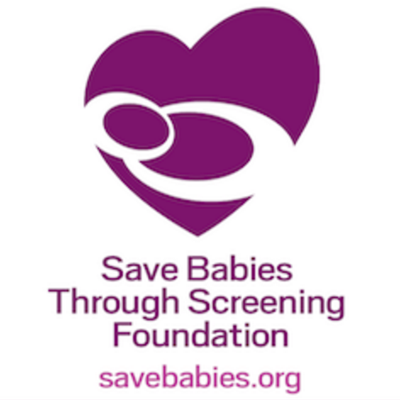 Save Babies Through Screening Foundation programs are supported by public contribution’s that help us deliver vital education, community services, and advocacy programs free of charge. Every gift, whether large or small, helps us protect children from the effects of these detectable and treatable disorders.